After few days of taking a brake away from computers I decided it. That would be to create my own Distro. Since there is ALOT to learn with Linux and jumping left and right, doesnt help me much I decided to create a distro of my own, no matter how long it takes. Thus providing me a linear way of learning it. Now here is the question though. 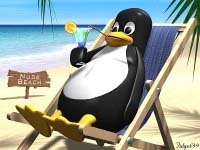 Should I do it using Linux from Scratch, since they have a nice documentation, or bypass that and go directly and create a regular ext2-3 distro? Which one is more realistic? Do you plan on writing your own package management system, use an existing package management system, or use no package management system? I assume you are going to write the installer as well? Void Main wrote: Do you plan on writing your own package management system, use an existing package management system, or use no package management system? I assume you are going to write the installer as well? Ok here is what am thinking of doing. Gather at first the basics. Such as the kernel, gcc, vim or emacs,iptables, shell,and MAYBE a GUI (Gnome or KDE) anything really that I will need to make the OS workable, just workable and able to connect to the Internet and be able to mount CDroms and the floppy. After I manage to do that, I will worry about the rest such as packages and the installer. But what am thinking of putting in as packages goes, are apps and compilers that are a must have to do programming. Not that you cant find them in other Distros, but just for the fun of it. So in other words I will start building it up slowly as I learn. But first I want to make it so that it will work. Now I assume that by not going with the LFS system and by going the generic route in building a Distro will be more beneficial and more difficult.